A lovely Southern living room with a bright, neutral palette with lots of charm. The endearing traits of Southern hospitality are warmth, kindness, politeness and sophistication. 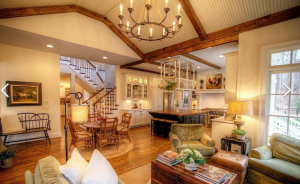 Homeowners anywhere in the South, or across the Mason Dixon line, can incorporate the Southern feel into their interior designs by mixing old with new and teaming neutral tones with rustic textures. A home can embody these graceful and charming Southern qualities without a complete interior overhaul. 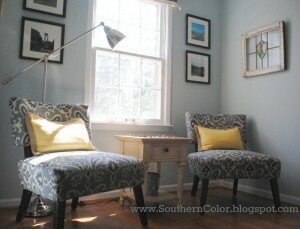 A beautiful sitting area designed by Southern Color. Southern styling is a balancing act of blending contemporary design with traditional pieces to create timeless elegance. Team new furnishings with vintage, antique and unique objects for a functional, clean finish with a sense of old time character. Reupholster an antique sofa and pair it with a contemporary glass-topped coffee table and soft-lit lamp. Be careful to maintain a sophisticated look, not too masculine or feminine. 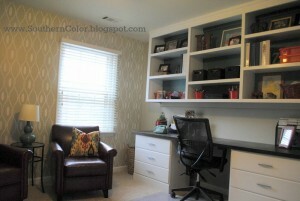 A home office makeover by Southern Color. When selecting a color palette and furnishings, strive for a lived-in look with high-quality features. 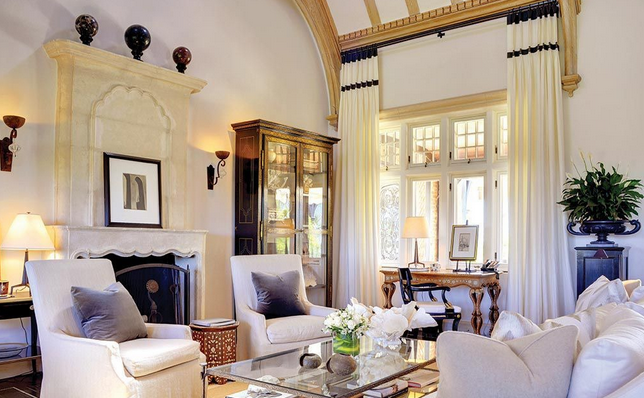 Southern designs include wood flooring, light drapery, textured fabrics and inviting prints. Optimal wall colors consist of muted hues and neutral tones that compliment organic materials such as timber, pine and wrought iron. Throwback varied textures add warmth, such as canvas, velvet, linen and burlap. 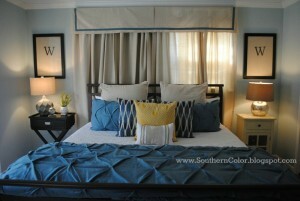 The ladies at Southern Color did an amazing job paying attention to details with their guest room makeover! Accessories contribute to a home’s charm and character. For a Southern kitchen design, update cupboards with wrought iron or brass handles and include wooden stools, benches or woven chairs with textured cushions. Such rustic elements combined with stone countertops are the perfect synthesis of new and old. Add traditional style to bathrooms by hanging vintage art. Chalkboard paint can transform bland doors and bare walls, and are especially treasured in kids’ rooms. Dress up living and dining rooms with dramatic light fixtures including chandeliers, iron lanterns and antique mismatched lamps. Smaller accessories such as vintage books, eclectic vases, printed rugs and leather ottomans add to the old-fashioned feel and work well with other neutral hues. An open floor plan in this Southern home includes the family room with a big kitchen and cozy eating area. 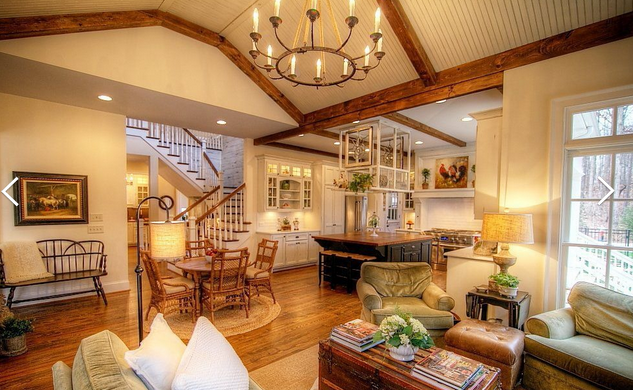 There is nothing dark or mysterious about Southern styling; living spaces should be open, airy and consistent. Visitors should feel like they are floating from room to room with ease. Select fewer than average furniture pieces that are large in scale to create a cozy yet relaxed environment. Add mirrors for the illusion of expanded space and take advantage of the natural light from windows and doors. A Southern designed home should be a mix of classic and contemporary styles that blend seamlessly for a timeless look and feel. Whether searching for home, redecorating a home or settling into a new home, incorporate the themes of Southern hospitality to create a welcoming and comfortable home.